(JTA)—The 2018 midterm elections were hailed as a victory for gender parity, as an unprecedented number of women won bids to serve in Congress. More than 100 women were elected to serve in the House of representatives and the Senate, according to final vote tallies and projections. The group includes 11 Jewish women—nine in the House and two in the Senate races. The winners are all Democrats—several female Jewish Republicans were unsuccessful in their bids for office. Luria overcame challenging odds to edge Republican incumbent Scott Taylor in Virginia’s 2nd Congressional District. Luria, 43, is a former U.S. Navy commander who finds ways to connect to the ocean in quite a different way—by owning and running a mermaid-theme shop, The Mermaid Factory. Her campaign platform included protecting Medicare and Social Security, increasing funding to the Department of Veterans Affairs, and combating sea level rise and flooding. 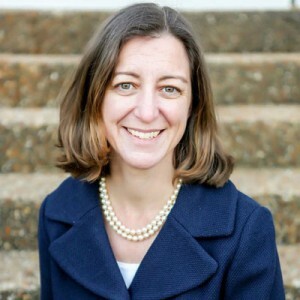 A member of Ohef Sholom Temple, Luria is the District’s, and in fact, Virginia’s, first Jewish Representative. In an interview with Jewish News last month, she said she felt the Congressional support of Israel was solid and bipartisan. “I’ve spoken to many Democratic members of Congress about protecting our relationship with Israel and it’s a top priority. I think that the alliance with Israel, both continuing and building on that alliance, is very important across the aisle. “We need to make sure that we support Israel in every way to protect itself from outside threats, and then stand with Israel when it is threatened,” she continued. Rosen, 61, a one-term congresswoman from Nevada, will move to the Senate after defeating Republican incumbent Dean Heller in a toss-up race. She launched her political career in 2016 with a victory in her state’s 3rd Congressional District. Her prior political experience was minimal— if you don’t count being president of a synagogue, Congregation Ner Tamid in suburban Henderson. Rosen previously worked as a consultant and software designer. Her Senate campaign centered on education and the environment, as well as opposing President Donald Trump’s immigration crackdown. Slotkin’s background is in defense and intelligence. Slotkin, who beat Republican incumbent Mike Bishop in Michigan’s 8th Congressional District, is a former CIA analyst and served in various defense capacities in the Bush and Obama administrations, including as acting assistant secretary of defense for international security affairs. Slotkin, 42, lives on her family farm in rural Michigan. She is passionate about health care and says she was motivated to run for office by seeing the high costs her mother faced as she battled and succumbed to ovarian cancer. Schrier is a physician who made her campaign in Washington state’s 8th Congressional District primarily about health care reform. She has said that as a Jew she was motivated to enter politics following last year’s neo-Nazi and white supremacist rally in Charlottesville, Virginia. Schrier was one of several Jewish candidates targeted with Republican ads that showed her clutching cash—many saw the ads as playing on anti-Semitic tropes. In the end, she beat Republican Dino Rossi to replace retiring incumbent Dave Reichert. At 85, Feinstein is the oldest sitting U.S. senator and the longest-serving woman. The California lawmaker is also the top Democrat on the Senate’s Judiciary Committee and is a leading progressive on many issues. She led the Democratic effort to dig into the record of Brett Kavanaugh after he was nominated to serve on the Supreme Court. Feinstein started her political career in San Francisco, becoming president of the city’s Board of Supervisors in 1969. In 1978, she became the city’s mayor following the assassination of George Moscone (Jewish gay rights activist Harvey Milk, San Francisco’s city supervisor, was killed by the same gunman). Her parents are both of Jewish ancestry, but her mother was raised Christian; Feinstein chose Judaism as her faith at age 20. She beat fellow Democrat Kevin de Leon (California’s election system allows the top two candidates to run against each other, regardless of party), with 54.3 percent of the vote.